Redrock Automations 3-Axis Hydraulic positioner is ideally suited to large scale weld operations. 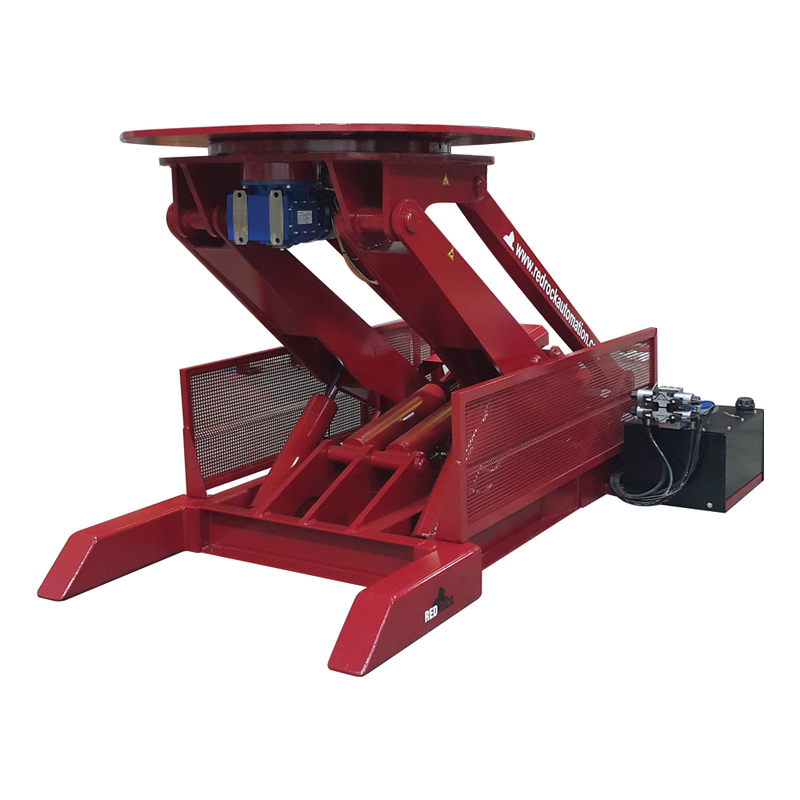 Industries such as oil and gas, renewable energy, aerospace and the automotive industry requiring heavy-duty positioners with 360-degree rotation to maintain a consistent high-quality of weld would benefit from our multi-axis hydraulic positioners. With this, manufacturers can improve quality, maximise throughput, save floor space and achieve a higher quality of weld from skilled and semi-skilled operators. Our 3-Axis Welding Positioner tilts, rotates, lifts and lowers. All movements are smooth, precise and objects are always secure. The positioner rotates at a fixed speed, which operators can control, enabling them to rotate large objects at the rate they need to maintain a consistent quality of weld. The drive and invertor control ensure smooth movements continually while the hydraulic operation ensures loads are always positioned securely. By automating object handling and rotation, weld operations become faster, giving businesses a speedy return on investment. Leave your information below and a member of the Redrock team will be in touch to give you more information about our 3 Axis welding positioners.